Commonly identified with its capital Victoria and the Metro Vancouver area (where most of its population of approximately 4.8 million reside), British Columbia is Canada’s westernmost and third-most populous province. It is widely regarded as one of the most beautiful provinces in the country. The provincial motto of Splendor Sine Occasu (Splendour Without Diminishment) perfectly captures the province’s timeless, awe-inspiring natural beauty. A diverse landscape of sandy beaches, rugged coastlines, rainforests, coastal mountains, lakes, rivers, plateaus, grassy plains, valleys, and seasonal snow-capped mountains offer no shortage of natural terrains that make up for a great golf course - which is why British Columbia is home to some of the most beautiful and challenging courses that can be found north of the border. There are more than 300 golf courses all over British Columbia. 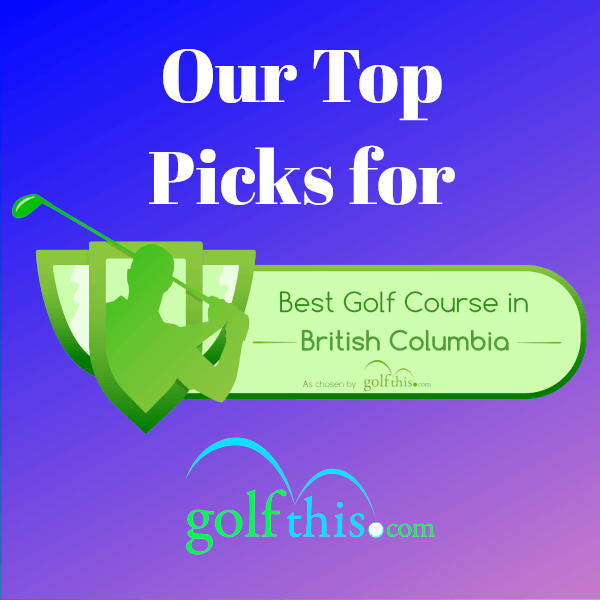 In this article, we are going to give you a list of the best public golf courses in BC, or in some cases semi-private courses that allow playing privileges to non-member golfers after payment of green fees and other corresponding charges. Spread across more than a thousand acres of natural terrain with a stunning vista of Kamloops Lake and the mountains from every hole, Tobiano Golf Course is one of the most beautiful and challenging courses that you could ever play on. Exploring the whole course gives you the impression that designer Thomas McBroom deliberately and successfully preserved the inherent beauty of the original landscape; touching or enhancing only on the parts where it is absolutely necessary for course play. The fairways are almost comparable to the greens of other courses. The greens are exceptionally well-maintained that it feels like you are physically walking on carpet. They can be tricky to gauge especially for beginners, however, as they are deceivingly fast. Golfers who love to work extra hard for their scores will find this course supremely satisfying if they manage to subdue its 18 holes that will definitely challenge you from the first tee until the last putt. Watch out for the trio of par 4’s starting with hole no. 4, as well as the intimidating par-5 eighth hole. With several forced carries, it would be prudent to bring extra balls with you, although you’d be just as likely to find as many balls as you may lose. Excellent amenities and friendly staff with quick service round up a very impressive list of attributes for this top-rated golf course. Green fees may be steeper than other public golf courses but they come with great perks, and you can lower the overall cost by availing of various packages that offer great discounts for local residents, junior golfers, group booking, favorable timing, or seasonal promotions. Multiple recognitions from reputable golf publications such as Golf Digest, SCOREGolf, Golfweek and Canadian Golf Magazine point to the fact that Tobiano Golf Course is not only the best golf course in Kamloops but in all of British Columbia. A mere 20-minute drive from the Kelowna International Airport, the Ridge Course is one of two 18-hole golf courses managed by the Predator Ridge Golf Resort in Okanagan Valley, Vernon, British Columbia. The Ridge Course is designed by Doug Carrick and offers excellent viewpoints from the property’s elevated areas and a wonderful variety of trees and vegetation as you wind down the ridge towards Lake Okanagan below. Granite outcroppings may spook you every now and then, especially since many of them are actually in play. Green fees are reasonable and are subject to change from time to time. Combining golf with the excellent food choices, clubhouse amenities, friendly service, and a stay at one of their villas should make this trip one of your most complete and fun golfing getaways. Built for the players to enjoy the scenery and have an easier time compared to the resort’s other course, the infamously-tough Predator Course, the Ridge Course takes the title of the best golf course in Vernon from its next-door neighbor by a hair. Sitting in the shadow of the Panorama Mountain Resort ski slopes, the Greywolf Golf Course is an exciting exercise in risk-reward course management and the push-pull action between aggressive play and temperance. It is widely considered as the best golf course in Panorama and among the top in British Columbia. The whole course was designed around their signature sixth-hole called the Cliffhanger, which features a 200-yard tee shot over a deep gorge onto a clifftop green teetering on the edge of the wilderness. It is so emblematic of their image that their entire marketing campaign is anchored by it and their restaurant is even named after it. The course’s award-winning designer Doug Carrick insists, however, that with so many elevated tees and water hazards on 14 holes, the entire course is virtually composed of 18 signature holes and not just one. So, make sure to bring extra balls and manage your mulligans wisely. When driving, provide an allowance for the additional distance that your ball may travel because of the thinner air present at these higher altitudes. Green fees are subject to change at any given time and discount packages may be availed for locals, junior golfers, and group reservations. Co-designed by the great Jack Nicklaus, the Bear Mountain Golf & Country Club is snuggly situated at the base of Mount Finlayson and composed of two separate 18-hole golf courses: the unforgiving Mountain Course and the newer, albeit slightly more forgiving Valley Course. The Mountain Course is interspersed among dense forest and characterized by a sweeping beautiful vista of the surrounding mountains, Pacific Ocean and Victoria City. Your focus will be directed more towards solving the difficult course layout than enjoying the scenery, however, as its strategically-placed bunkers, constantly-changing elevations and narrow fairways are sure to puzzle even the most seasoned players. Notable spots would be the island green on the 11th and the spectacular view that can be experienced from the 14th green. The Valley Course, on the other hand, offers similar mountain views amidst a sprawling landscape of forests, rivers, and creeks. Even though the challenge of playing at an altitude of 300-500 feet above sea level, strategic bunkers, and elevated tees are still present, it is nevertheless considered as the friendlier course between the two due to its shorter length and wider fairways. Green fees are subject to change from time to time, so be sure to check for the best rates especially if you can avail of the different packages on offer. With two courses in one location both offering excellent viewpoints of surrounding scenery, and a range of difficulty levels that cater to beginners, intermediate, and seasoned players alike, there is no doubt that Bear Mountain Golf & Country Club is the best golf course in Victoria. The Fairmont Chateau Whistler Golf Club is not just your ordinary mountain course. 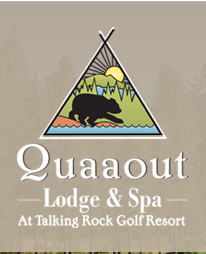 It can be more accurately described as a wildlife course, as you have to share it with the occasional wildlife (birds, deer, and bears) that strays your way, while enjoying a layout that seamlessly blends against a backdrop of pine trees, deep ravines, rushing streams, waterfalls, as well as lush forest growth that threaten to invade the fairways. Designer Robert Trent Jones Jr. successfully created a course that not only lets you play a round of golf but also celebrates nature in such a way that you will not only feel physically rejuvenated afterward but feel like you went through some kind of contemplative therapy as well. The advertised 6,635-yard maximum length is deceptive as this course definitely plays longer than its yardage due to the difficulty brought about by constant elevation changes. You would be well-advised to bring extra balls due to the presence of several downhill carries and seemingly invisible breaks as you approach several greens. Considering the extraordinary experience and natural commune that you get, the green fees come off as very reasonable but are subject to change without any prior notice. You may also check out their website for the different package rates that you may be able to avail. This well-rounded course is a perennial awardee on most golf publications’ annual list of the top golf courses in Canada and definitely takes home the crown as the best golf course in Whistler, British Columbia. There are some courses you are just so fond of that you spend weeks or months anticipating about the next possible opportunity that you can play it again. Big Sky Golf and Country Club is one such endearingly charming golf course. Once you have played it, you will be raring for the next chance to come back as soon as you turn your scorecard in. Nestled at the foot of Mount Currie and the Garibaldi Mountain Range, Big Sky Golf and Country Club lie on mostly flat terrain sprawled across the picturesque Pemberton Valley. But don’t let the lack of elevation fool you into thinking that this is an easy out for you. The entire course is practically inundated with various water hazards that you will have plenty of chances to do your best Roy ‘Tin Cup’ McAvoy impersonations. One particularly vexing hole is the 600-yard par-5 4th hole (nicknamed the Purgatory), where a creek zigzags and crosses the fairway not just once or twice, but a total of three times. Even low-handicappers find it difficult to consistently get out of there with a par. When you add the fact that many of the other holes are also unusually long par-4s, then you have a nice game on your hands where you are forced to be extremely strategic and dialed-in on your distance management if you wish to finish with your typical score. Aside from having a very exciting layout, there are other compelling reasons why this is rated as one of the top courses in BC. The entire facility is very well-kept and has that laid back, very welcoming feel without being touristy. The staff are genuinely friendly and the view from the clubhouse patio is stunningly beautiful. Even their pro shop has a very wide selection of merchandise. To cap it all off, their food selection is just absolutely delicious. To maximize your experience, I suggest you go there early, get a round in quickly, and then go for an afternoon round after having a wonderful lunch at the clubhouse. Or if you don’t want to go for another round, you can also drop by the Pemberton Distillery for a brief tour and some tasting on your way back. It’s the attention to basics along with little touches like these, along with their excellent course and club amenities, that actually make Big Sky Golf and Country Club the best golf course in Pemberton and one of the top destinations in the entire Whistler/Pemberton area. If you are the type of player who values the scenery and the sense of isolation as much as the competition, then you will absolutely love Talking Rock Golf Course located in the quaint little village of Chase in the interior of British Columbia. Course designers Graham Cooke and Wayne Carleton took advantage of the inherent beauty and challenge provided by the original forest and the adjoining Little Shuswap Lake by following the landscape’s natural contours, as the course winds through rolling hills, while a variety of mature, towering pine trees line crisp fairways approaching well-manicured greens. Signature holes would be the par-5 hole no. 7 and the par-4 hole no. 17, which both feature elevated tees and some of the most beautiful views in BC. The par-4 eighteenth serves as a reward for all your efforts as you will be treated to a stunning vista courtesy of its layout by the lake. Friendly staff with spot-on service, great food, a well-stocked pro shop, and an impressive 18-acre driving range all add up to a complete package which makes this one of the best golf courses in British Columbia. The Whistler/Pemberton area is a haven for golf enthusiasts. Those who want to sample different courses in one golfing getaway will have plenty of options here as there are at least six beautiful courses situated within short driving distance from each other. The Nicklaus North Golf Course is the third course from this area to make it to our list. Designed by the great Jack Nicklaus himself, this is a well-maintained, very walkable course that lies on relatively flat terrain featuring scenic views from the 1st hole up until the 18th. The sound of birds will be constantly serenading you as it is situated right next to a bird sanctuary basically running along one side of its border. Majestic snow-capped mountains provide a great backdrop on many of the holes and the beautiful Green Lake is also prominently featured on the 16th and 17th holes. Jack Nicklaus is known for designing some of the most difficult courses and this one is no exception. Driving accuracy is critical here, otherwise, you will tumble into a lot of virtually unplayable rough or strategically-placed hazards and bunkers. You will also be treated to a steady diet of very challenging par threes. Bring extra balls for good measure. Having said that, the pace is actually quite good and you can easily go for an afternoon round with still plenty of energy to spare. Nicklaus North also has a great practice facility, a nice clubhouse and restaurant, and a wide selection of merchandise from the pro shop. All-in-all, this is definitely one of the best golf courses in the Whistler/Pemberton area. The great Jack Nicklaus is even so proud of it that it’s the only one he lent his name to from among the more than 150 courses that he designed worldwide. Designed by the prolific golf course architect Les Furber, the Northlands Golf Course is a mountain course that best encapsulates the typical environs of the Pacific Northwest. Unless you are in extraordinary shape, it is mandatory that you take a cart as you will be traversing a mountainous terrain set against a diverse backdrop of rainforest, lush vegetation, stone outcroppings, and streaming waterfalls. Don’t be surprised if you get close to some wildlife (birds or deer) during your round. This is a very challenging course, so don’t expect to hit your typical score here. Most players would be happy if they end up just a few strokes above their usual numbers. There’s actually a sign on the first tee box advising the players to take the white tee if they are usually unable to break 90. In this particular case, that’s actually a great piece of advice. The course is always kept in pristine condition. But there is virtually no flat lie anywhere on this course, and you would need to hit the fairways at just the right spot, otherwise, you’ll be taking extremely difficult into-the-green shots because of the undulating greens. Since it is a municipal golf course, the rates here are very reasonable but are subject to change every now and again. Their staff are super-friendly. You can also enjoy a great view from the clubhouse overlooking the 1st and 18th. All of the reasons cited above are already enough to cite Northlands as the best golf course in Metro Vancouver, but you could also add the fact that they have a very informative and comprehensive website, along with the knowledge that they have one of the best hotdogs that you could ever have right at the turn. 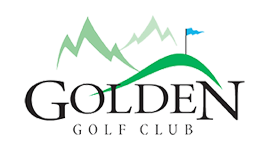 Situated comfortably in the Columbia Valley and bordered by the Purcell Mountains and the Canadian Rockies on either side, the Golden Golf Club is like a hidden gem that’s waiting for you to discover. This is the ideal course for you if you like to spend your time in the mountains while enjoying a round of golf. It is teeming with wildlife, that it is not surprising if you manage to see a deer, coyotes, eagles and even a black bear if you get lucky. Quick tip though, be sure to bring a mosquito repellent as they could swarm you here at certain times of the day. Some holes are situated right along the Columbia River, and creeks regularly come into play on some of the holes. Its signature hole is the par-4 eleventh which requires your tee shot to clear Holt Creek in order to land safely on the fairway just across. It is rated as one of the best golf courses in the Columbia Valley due to its excellent course condition, reasonable price, and the right combination of challenge and playability that suits players from all levels. British Columbia has a lot to offer in terms of landscape diversity and challenging terrains. Whether you are a beginner, intermediate, or seasoned player who just wants to catch a quick round or have a more leisurely schedule on your hands, there is bound to be a golf course in British Columbia that is sure to satisfy your golfing fix. The ten we listed above are just some of the best public golf courses in British Columbia. There are still many more courses that we were not able to list here due to time and space constraints. We leave it entirely up to you to discover these other hidden gems at your own pace and leisure.